Auto Money Maker is a new binary options trading software which promises to give you a very accurate result and trading experience. The software is supposed to make you earn around $2765 a day which is nothing but an exaggeration. Auto Money Maker has an accuracy rate of 92% which is too much for a new software which suddenly came out of nowhere. But the problem with all the claims about the software is that there is no solid evidence to prove all these claims which are nothing but nonsense. 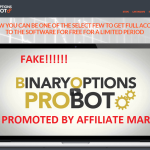 You should not think of investing into this rubbish binary options software because this will give you nothing in return. Make sure you go through this Auto Money Maker review and find out the reasons why this is a scam and not the right platform for trading. 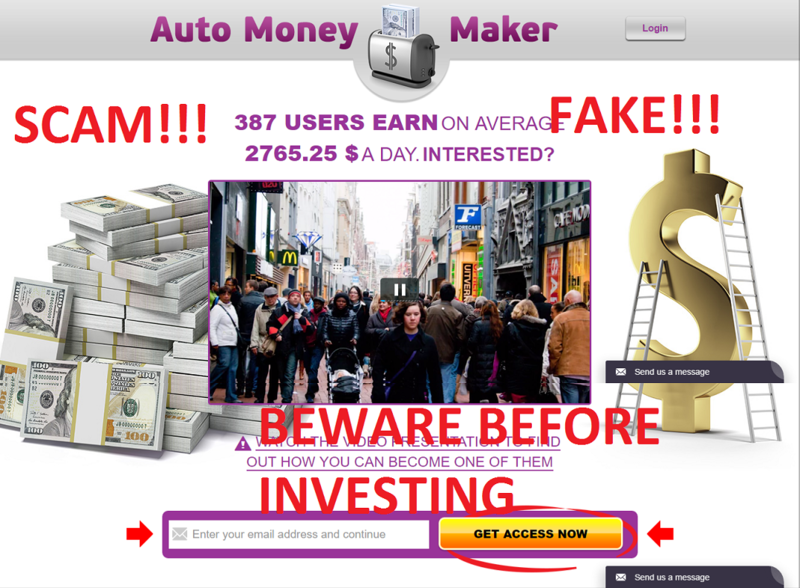 Auto Money Maker Review – Scam or Not? 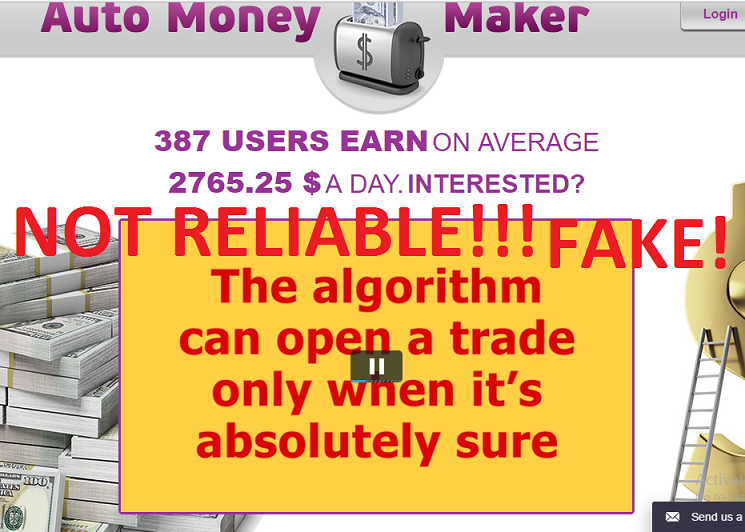 The Auto Money Maker website is no doubt a very unreliable good for nothing platform which doesn’t seem like a website designed by a trader who earns in millions. There is nothing but a video and ‘Send us a message’ option on the right side of the website. As expected from a scam system the video is the only tool we have to learn what this system actually is and this puts an end to the whole story. The video is totally unreliable as it contains nothing but fake information which has no credibility at all. No contact details have been provided except the ‘Send us a message’ option which I first thought of to be a live chat option but I don’t think it will be of any help. The promotional video of the Auto Money Maker scam is pretty dubious and contains fake testimonials by paid actors. Moreover, you will not meet the real owner of the software in the video but only get to listen to a voice-over narration of an unknown person claiming to be the owner. This contains all the glamorous details and mentions that everyone needs to live a life of financial freedom which the Auto Money Maker will provide. Also, the narrator tells that the software is free but in reality, it will cost you the money you will invest. The owner of Auto Money Maker software calls himself Arthur McCool who doesn’t feature in the video but he only does a voice over acting. He claims to have earned $4000 by investing $25 to every trade. This is quite ambiguous and not realistic because the payout seems to be really high compared to binary options trading. 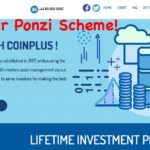 He tells with a guarantee that the program will make money for you and also claims that this software makes 66.3% less losing trades than any analogs on the market. These are just fabricated stories and he provides no actual evidence to prove that this is an authentic software. Moreover, since you can’t see the person for real where is the guarantee that this person is not actually fooling you? You simply can’t rely on a person who seems to keep his identity anonymous. This is just a proof that he is trying to hide so as to avoid the consequences of his online criminal activity. The owner says that Auto Money Maker software works with a unique algorithm which is 92% accurate and more powerful than all the other software available online. You cannot just rely on words just like that without any actual evidence of all the claims that has been made. He really makes some cheesy claims like the software can open a trade only when it’s absolutely sure which are typical of every scam algorithms. There is nothing new in his words and I have probably exposed a number of software which is known to have the perfect algorithm but these are nothing but scams. As told earlier, the video of Auto Money Maker scam contains testimonials by people who are actually hired actors who have been paid to act in their scripted video. This is a trend now a days as you will find lots of paid actors who are known to work for this scammers in exchange of some cash and the Auto Money Maker is nothing new. 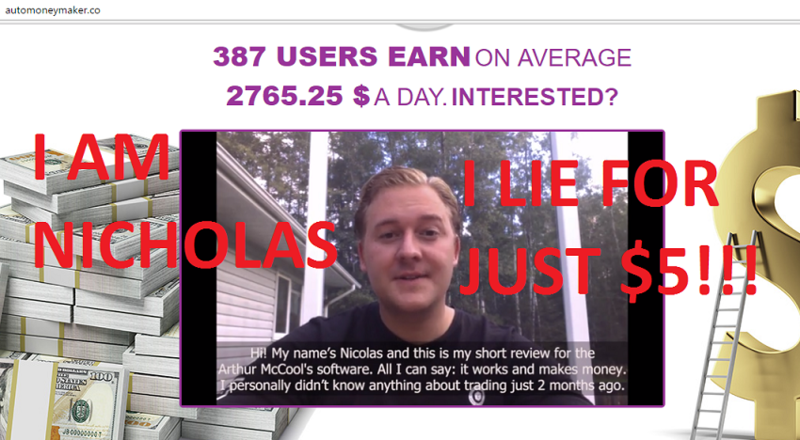 One such example here is that of the man named Nicholas who seems to be praising Arthur McCool and his software. He is actually a well-known actor from fiverr.com and his real name seems to be Jason. 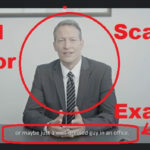 I made an investigation in fiverr.com and found out the details of his account from the well known freelancing website and have put the picture here. Just compare the two pictures so as to make your doubts clear. This example proves that there is no guarantee of the remaining actors who are making all those fabricated claims about buying costly cars and living their dreams. This is a stereotypical scam testimonial which needs no explanation at all. Moreover, the negative feedbacks all over the internet and in Youtube proves that this is not the right platfor, for any kind of financial trading. How Long Has Auto Money Maker been available? According to the owner he has been using the Auto Money Maker for 12 months. He probably made 2.7 dollars over the past 12 months which is a serious lie. 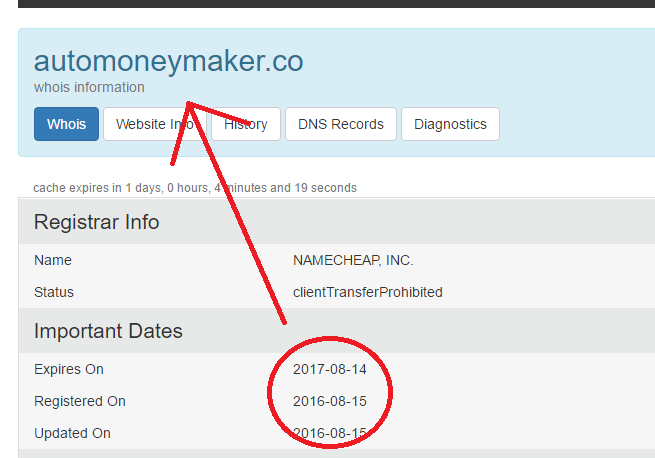 I made a search in the popular domain age checking website who.is and discovered that the website has been registered on 2016-08-16 which means on the 16th of August and not just 12 months ago. This is enough to prove that the Auto Money Maker is not a reliable software as the owner himself is caught red handed. Verdict: Avoid the Auto Money Maker! To be honest, the Auto Money Maker software is nothing but a good for nothing system which needs to be avoided at any cost. You are just dealing with a fake software with no particular algorithm and the scammers will not respond once you ask for the money you deserve. Instead of joining this Auto Money Maker scam, just go for a professional auto trader and invest at the right place which will give you guaranteed profit. And if you are serious into investing into a binary options program Auto Money Maker is not the right place to do so. Visit our Recommended Signals page to find out legit binary options signals services.